1. What continents did Rome expand on? 2. What is the geographic heart and center of Rome's power? 3. How did one city-state expand to such a huge territory? 3. Name three advantages and three disadvantages of the huge territory of Rome. Think about solutions. Essential Question: What was the main message of Jesus' teaching? What factors helped Christianity develop and spread throughout the Roman world? How and why did the Roman Empire split in two? What put the end of the Western Roman Empire in 476 AD? The religion of Christianity originated in the mid-1st century in the Middle East. It began as a Jewish sect and is based on the life and teachings of Jesus of Nazareth. Christianity spread throughout the Roman Empire, and by the year 300, about ten percent of the empire’s subjects were Christian. Roman Persecution of Christians. Christians were persecuted in Rome throughout the 1st to 3rd centuries. Under nine Roman Emperors, Christians were not allowed to practice their religion. Christians were subjected to brutal punishments, including death, under Roman authority. Libelli were documents given to subjects of the Roman Empire during the reign of Emperor Decius that certified they had performed pagan sacrifices, which were against Christians’ religion. Failure to perform pagan sacrifices could result in execution by authorities of the Empire. Some Christians were martyred when they didn’t offer pagan sacrifices, while others fled, forged libelli, lied, or obliged authorities to avoid injury or death. ​1. 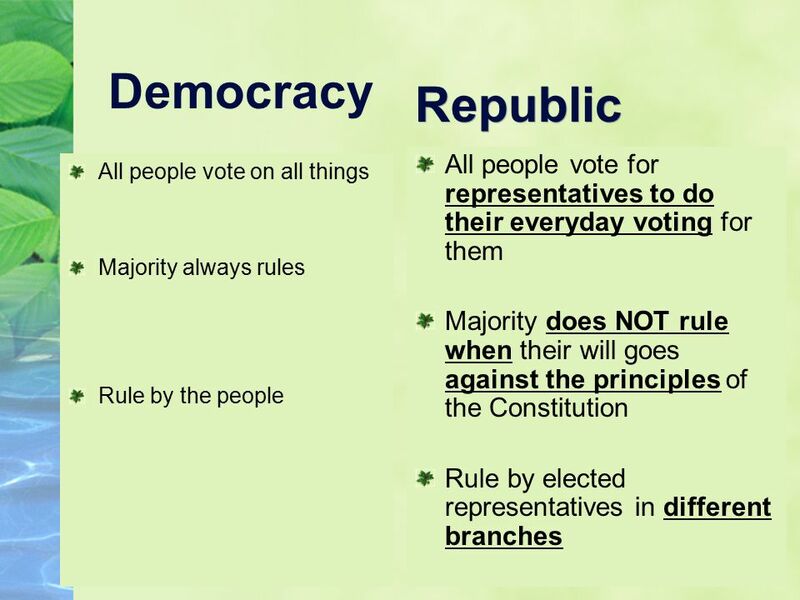 What is democracy? What is direct democracy? What is the birthplace of democracy? ​of city-states in Ancient Greece? 3. How were Athens and Sparta different? 4. Who was Alexander The Great? What can we infer and determine about Rome the city as the center of the Roman Empire? Essential Question: Where in the world is Rome? How did the city grow into a powerful civilization? What is the legacy of Rome? Patricians and Plebeians Under Etruscan Rule Under the Etruscans, Roman society was divided into two classes, patricians and plebeians. Plebeians comprised about 95 percent of Rome's population, but had little voice in the government. The Patricians Create a Republic In 509 B.C.E., patricians drove out the last of the Etruscan kings and created a republic. Most of the power was maintained by the patrician Senate and the consuls. Only patricians could participate in the new government. The Plebeians Rebel The plebeians began to demand more political rights in a struggle with the patricians known as the Conflict of the Orders. In 494 B.C.E., angry over their lack of power, the plebeians rebelled. The Plebeians Gain Political Equality The patricians agreed to allow the plebeians to elect Tribunes of the Plebs and the Council of Plebs. Around 451 B.C.E., the Twelve Tables were published. By 287 B.C.E., assemblies of all citizens could pass laws. Plebeians governed alongside patricians, and finally won their fight for equality. Resources: Romulus and Remus/ Summary/ Legacy of Rome ​Build Rome in a day! What is the role of the government in your life? Think about your day from beginning to end and write down five things that you do. How is the government involved in your daily life? Draw a figure that represents a great leader. Describe a good leader. List five characteristics that you believe make a great leader. Essential Question: What were the major achievements in philosophy, literature, art and architecture in the Classical and Hellenistic period of Ancient Greece?What were the major achievements of Alexander the Great? ​​1. How much of the land in Greece is mountains? b.gave up trying to travel. c.learned how to climb mountains. 4. Which geographic factor influenced the development of independent city-states in ancient Greece? How did geography influence the development of the Greek civilization? ​Why did the Greeks create separate city-states(polis)? ​How were they the same and different? Divide the reading in the group. Answer the questions in your notes. Color your map of Greece to resemble this one. 1. What does the green color represent? 2. What does the brown color show? 3. Which one is more in Greece? How can than represent obstacle to the people in Greece? 4. How can they fix that problem? 5. How did the geography of Greece present obstacles to unity? 6. What geographical features led to the Ancient Greeks to create city-states? Why not a united empire? How did the seas influence the Ancient Greeks? Why did the Greeks expand to overseas colonies? How many words can you come up with using these roots? 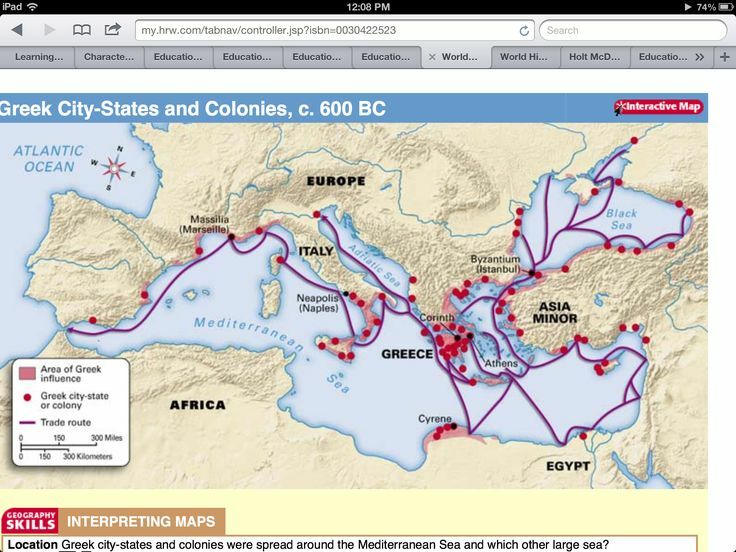 Essential Question: How did geography influence the development of the Greek civilization? ​Why did the Greeks create separate city-states(polis)? How were they the same and different? What would it have been like if you lived in ancient Athens or Sparta? ​Based on the reading evaluate and rank these reasons for the fall of the Western Roman Empire by numbering them from 1 to 10. Explain why you chose your three top reasons. Cite-you will use evidence from the text or your knowledge to support your answer. Explain-you will explain how your evidence proves your answer. Essential Questions: Were Athens and the Roman republic truly democratic? Place your binder on the back table. ​Put your full name in. ​You have to work on any assignments that you have not finished for Unit 2. Last day to turn any assignments for Unit 2 will be Tuesday February 20th. ​Argue that Plato and Aristotle held an essentially positive (or negative) view of human nature. In a well-reasoned essay, support your position using at least three of the quotes below as evidence to support your position. ​1. ____ are traditional stories about gods and heroes. 2. Who was the Greek goddess of love and beauty? 4. Ancient Greeks created myths to explain the world around them. 5. Women could not participate in the Ancient Olympic Games. Which is a better system? Athenian Direct Democracy or Roman Republic? ​Essential questions:How did the roman republic influence our government today?What is the cultural legacy of the Romans?Why were Julius Caesar and Augustus Caesar significant historical figures in Rome? Essential Question: How did the roman republic influence our government today? Why was Julius Caesar and Augustus Caesar significant figures in Roman history? ​Watch each of the short videos below, describe what life was like for teenage Romans, and compare your life to theirs. 1. Is it the republic or the empire at 79 AD? 2. Why did they die so young? 3. What do we see in the center of the city? 4. What are we learning about people, places, empire, army, men, women and society form the video? Based on the video, describe what life was like for teenage Roman boys.Based on the video, describe what life was like for teenage Roman girls. Compare and contrast the life of one of the characters in the videos linked above to your life.